I love warm sunny days for golf. So do you, I would wager. It’s a natural thing. It’s the best conditions for playing golf! Outside, under the blue sky, puffy clouds, and the blazing sun. But while you are building your handicap, your skin is building up a tan! And with that tan, you could be developing a lot more than a healthy glow! 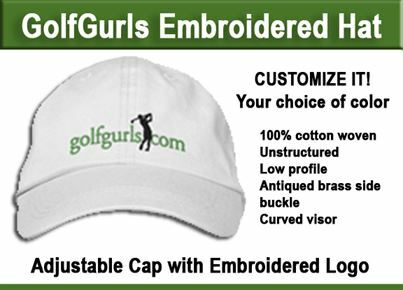 I just bought a straw hat to wear on the links. I’d rather not wear it. But my freckles are beginning to link together into splotches of light brown, and my hair is bleaching out in strange streaks that do nothing for my fabu looks. I used to wear a visor but I find it is not enough protection. 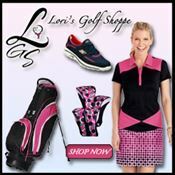 I recently came across a great article by Mark Wishner from Sun SafeTee® program and I asked him to write a guest post for golfgurls. He was kind enough to send it along and I include it here. There’s some valuable advice here that every golfer should take to heart. This year in The United States, over 3 million skin cancers will be diagnosed. Golfers are at a higher risk than the general public of developing skin cancer, due to the extensive amount of time that we spend in the sun. Sun protection is a lot like the game of golf. Both are built on a foundation of personal responsibility. Here are some of our tips that you can use to reduce the risk of damage to your skin from the sun’s UV rays. Use a “good” sunscreen or sunblock. A good sunscreen is one of the first lines of defense in sun protection. It is important to use a sunscreen with an SPF of at least 30 and be sure to use one that protects from both UVA and UVB rays. The label should state that it offers UVA and UVB protection or “Broad Spectrum Coverage”. We like sunscreens that have the least amount of chemicals as possible. Mineral based products often do not have chemicals in them. Apply sunscreen 20 to 30 minutes before going into the sunlight and be sure to cover your ears, lips, nose and neck. If you are also using a bug repellent, apply the sunscreen first and wait before using the bug repellent. Most sunscreens only last for two to three hours and then need to be reapplied. One of the biggest misconceptions about sunscreen is that you can put it on in the morning and it will last all day long. That is why we say “Don’t Burn…Reapply at the turn”®. Sun protective clothing plays a big role in sun protection as well. New materials not only include a UPF rating (sort of an SPF rating for clothes) but also are very lightweight and comfortable for wearing long sleeves even in warm weather. Since they moisture wick, many fabrics help keep you cooler as well. Since many skin cancers appear on the ears, it is important to wear a hat with a wide brim. A good pair of UV protective sunglasses will help protect not only your eyes but also the area around your eyes. Seek shade wherever you can. In the golf cart, under a tree and remember your umbrella is not just for rain; it can provide shade and newer umbrellas are made of fabrics that provide UV protection. Most pushcarts have an attachment to hold an umbrella and this is an ideal sun protection tool for junior golfers and adults. If you are a parent watching your child participate in a tournament, bring an umbrella out on the course for you as well. Be sure to stay well hydrated by drinking water or caffeine-free drinks and juices. Don’t wait until you are thirsty to start hydrating. The good news is that the sun doesn’t have to be your enemy if you use sunscreen, wear UPF rated garments, drink your water, and take breaks in the shade. And see a dermatologist at least once a year, more often if you have been diagnosed with skin cancer or precancerous lesions. I really like the uv protection clothing from coolibar. A little pricey but very good product. This is something that I do before every round of golf. You are out on the golf course for over 4 hours most times so that’s a lot of exposure to the sun. Especially in the areas on the arms, face and neck. Thanks Troy for the comment. Best sunscreen I have found is SOBOL… Has a lot of zinc in it. You have to buy it online and it is a little pricey compared with other products, but it works. This year I am determined to avoid the “farmer tan” look. 🙂 so I really put a lot on.